All airplanes are certified for IFR training and of course, the fleet is expanding, to meet the students’ needs. Choosing the right Flight School: The choice of the right training school is the first step on your way to becoming a competent Private or Professional Pilot and the most important decision you will make. There is no casual approach to learning to fly. A successful flying career is only possible by obtaining the best training during the formative hours of aviation training. The core objective of OAA is to provide the best possible foundation for student pilots from day one. We make no shortcuts and we leave nothing to chance. “Flying is an art and the art of flying is being taught and learned by the right staff.” Great Instructional Experience: With over 34 years of experience as an Air Force pilot, civilian pilot, Flight Instructor, Flight Instructor’s Instructor, Flight examiner, with a total of 13300 hrs flight time, consisting of 3800 air force hrs, 9250 civilian hrs and 250 seaplane hrs, is considered as one of the best Flight Instructors in Greece. Exemplified solid teaching and instructional abilities in a highly demanding air force and commercial environment, through execution of syllabus design, management, and revision for entry-level pilots, while providing effectual training courses, PPL, from 0 to ATPL (Air Transport Pilot Licence), MCC, supervision and assessment in four Flight Training Organizations (FTOs/ ATOs) according to JAA/EASA regulations. Successfully trained more than 280 private and professional pilots. Flight Safety: OAA’s main goal is to provide Professional Training according to Part FCL / EASA regulations of flight safety and standards of maintenance. OAA utilizes only fully certified by EASA and HCAA of Greece, aircrafts. 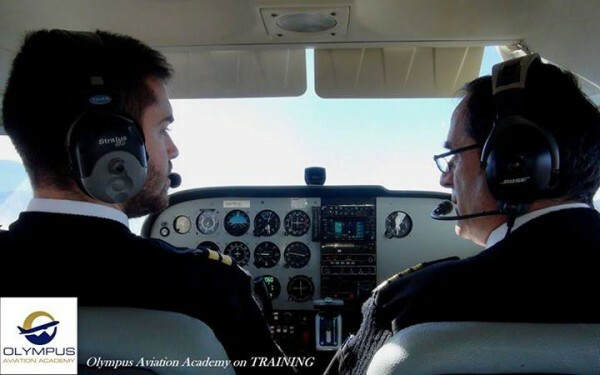 Training Experience: Olympus Aviation Academy is an Approved JAA/EASA Training Organisation ATO GR 123, in Thessaloniki/Greece, under the authorization of Hellenic Civil Aviation Authority (HCAA). 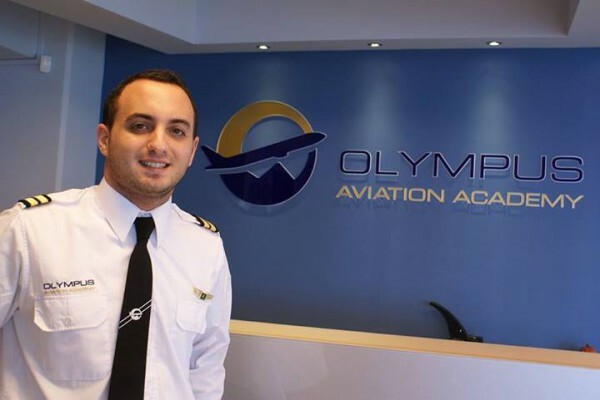 Olympus Aviation Academy is established by Professional pilots from the Air Force and Civil Aviation industry with thousands flying hours and great experience in training process. Ground Instructors have proven specialized skills and long-time experience in aviation. Excellent Weather: The excellent weather conditions in Thessaloniki enable us to deliver uninterrupted training all year long, without wasting precious time and money. In summer, high temperatures here are usually between 27 and 33 degrees Celsius, although they sometimes climb higher. In the fall and winter months, nights are significantly cooler, and normal daytime high temperatures are between 21 and 25 degrees Celsius. In only 12 months: In Olympus Aviation Academy the average time required to complete the Zero to ATPL course is 12 – 14 months, including all Training and Exams. Hospitality: At OAA you will be personally guided through each stage of your training program, in an hospitable environment from the first introductory flight to all the way through to the day you receive your completion of a certificate on the relative licence.